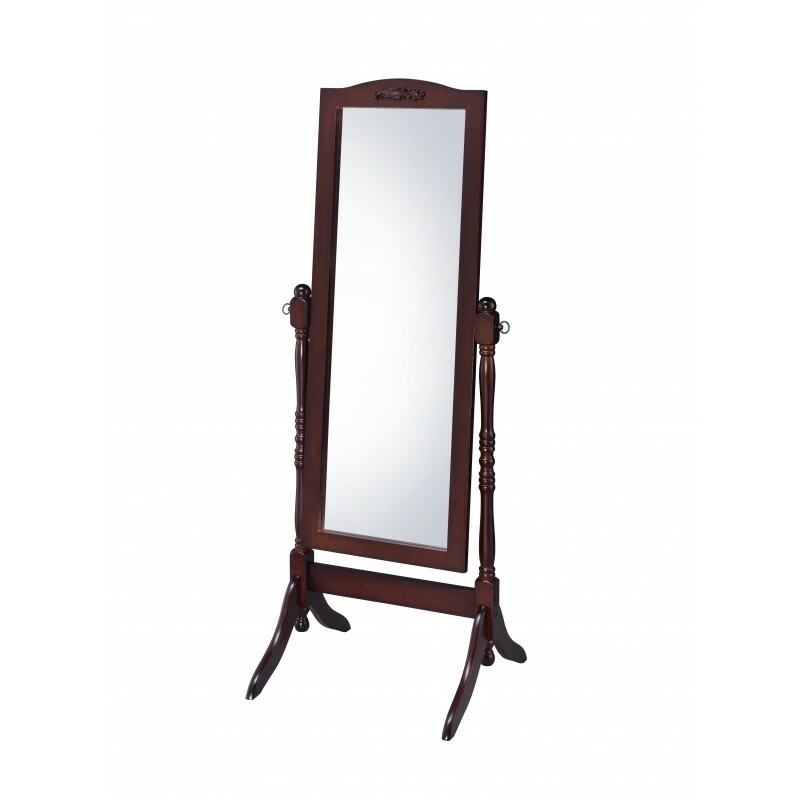 Victoria Cheval Mirror in Walnut Rubber Wood Finish with Handcrafted Decor on Top. 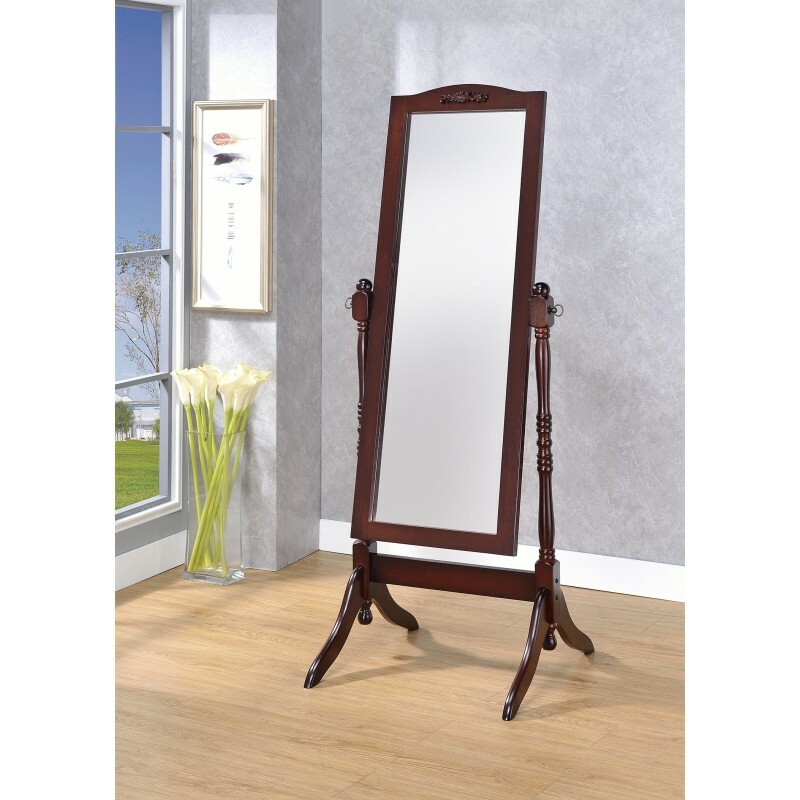 Victoria Cheval Mirror in Walnut Rubber Wood Finish with Handcrafted Decor on Top. Victoria Cheval Mirror adds the feeling of elegant and classics to your room. 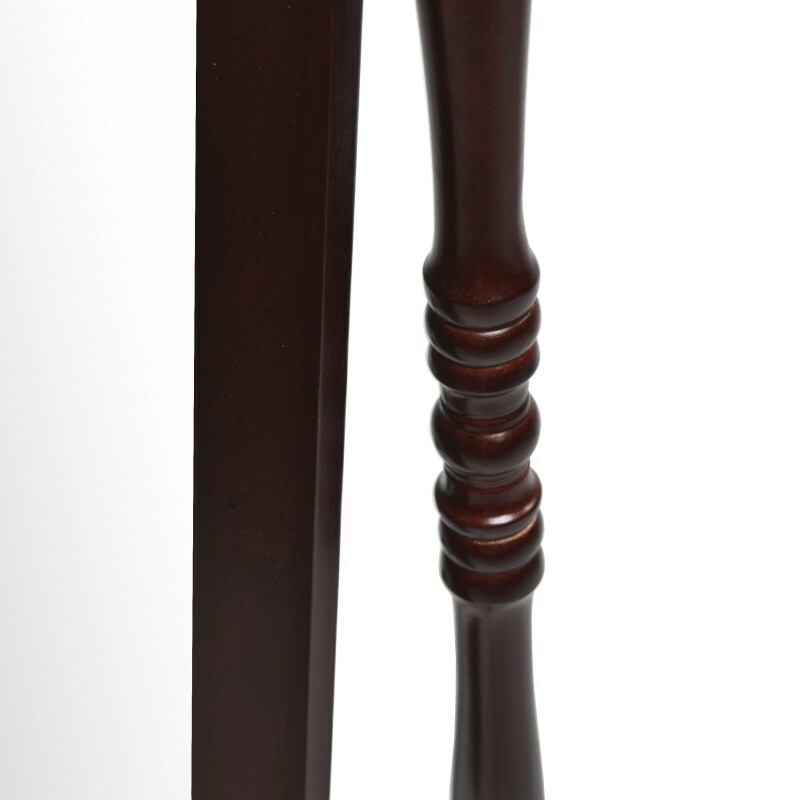 The supporting poles at both sides crafted with European style. 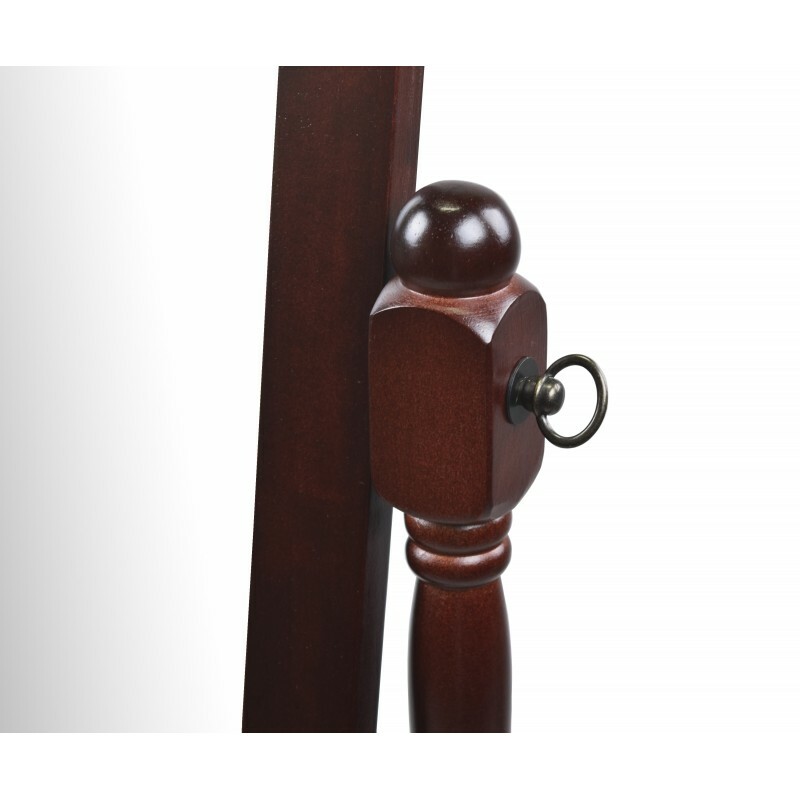 The mirror is allowed to be swivel-tilted to the angle you prefer. 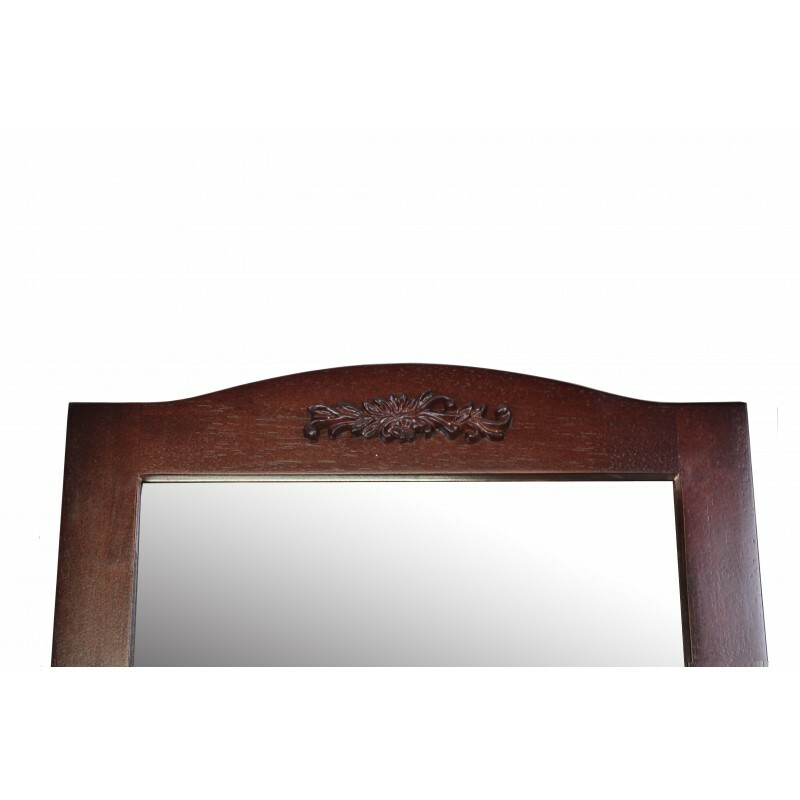 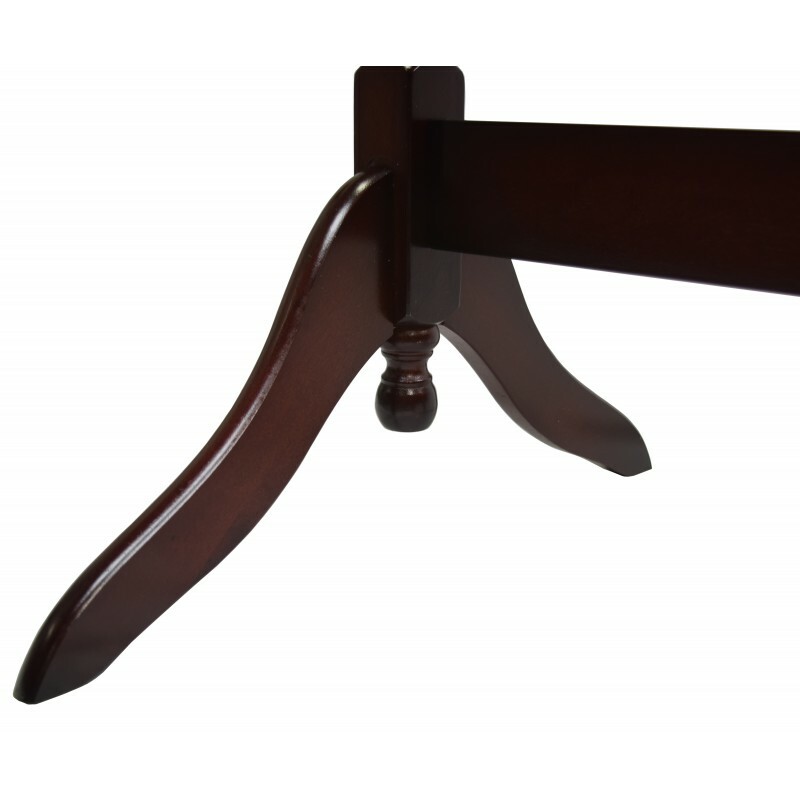 The sturdy rubber wood frame in walnut is a piece of furniture and decor perfect to the bedroom, living room, dining room, or dressing area.